Sometimes you want to follow high volume publications like The Verge, NY Times, or VentureBeat because you trust them, but you are only interested in narrower topics, trends, or mentions. 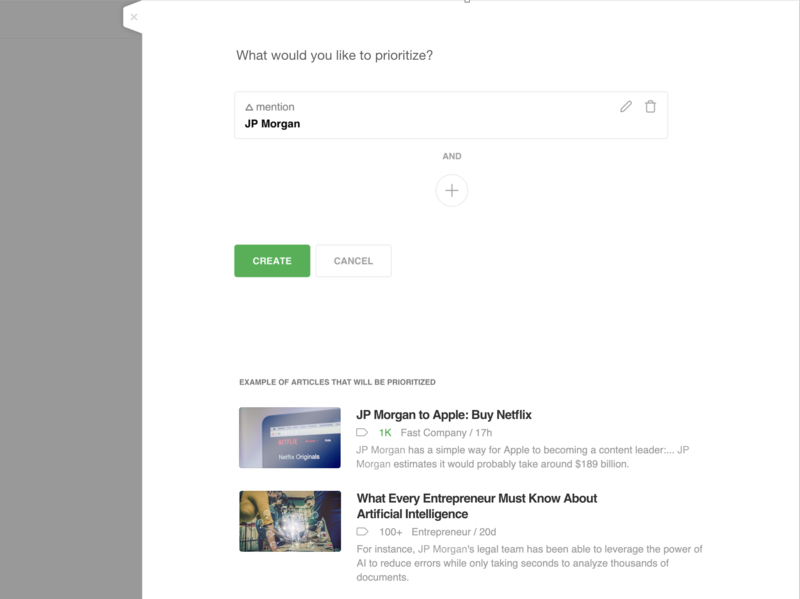 The new Priority Tab includes the subset of articles flagged by Leo as important – based on the priorities you defined for your Leo. The topic skill allow you to prioritize articles which are about a specific topic you are interested in. We also heard from a lot of users that duplicate articles are a big source of noise and echo in their feeds. If you are tired of seeing the same article or press release being pushed across multiple sources, Leo 0.5 near exact deduplication is here to help. 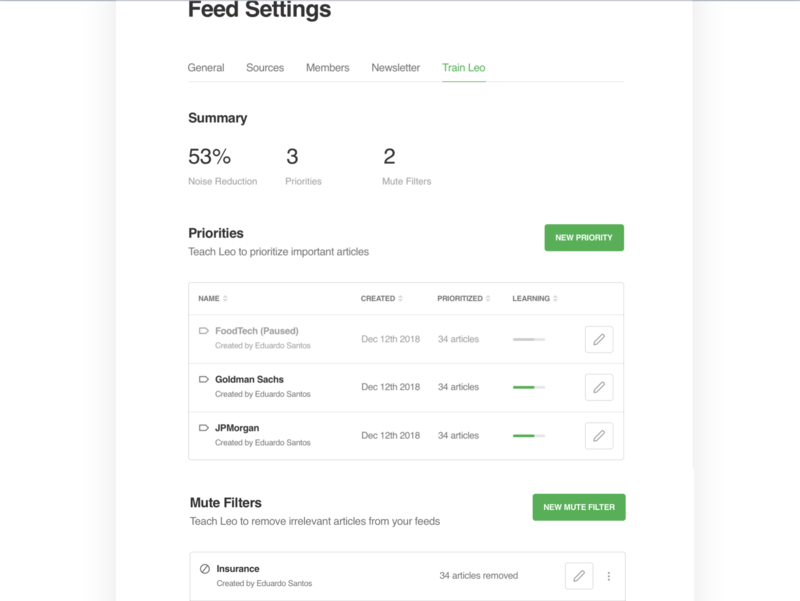 Leo continuously monitors your feeds and when he detects duplicates, it automatically clean up your feeds so that you only get one copy of the article or press release. This is particularly useful if you follow a lot of Google Keyword Alerts or if you follow source that cross post content. 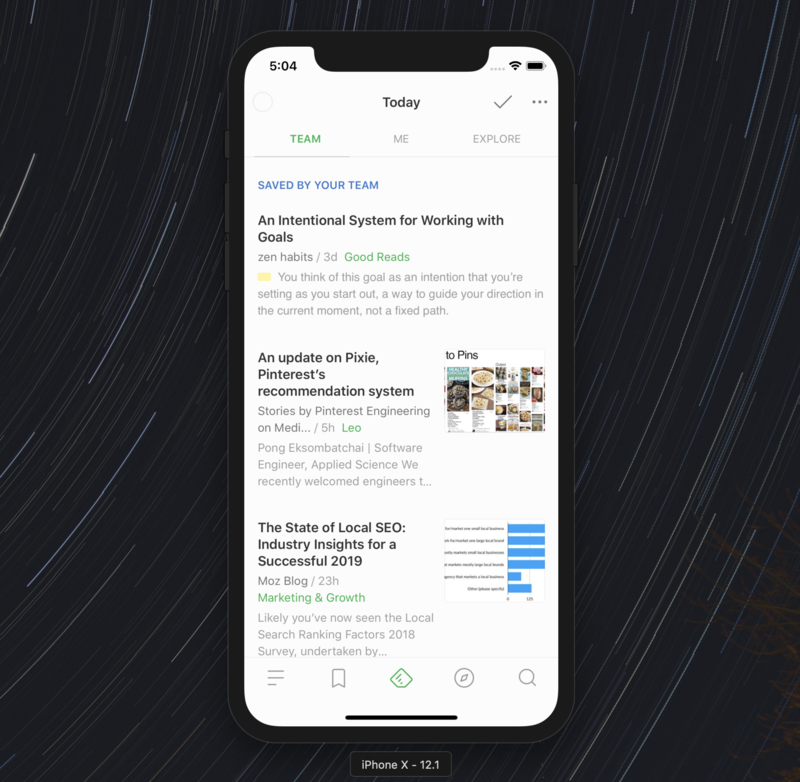 Six months ago, we launched the Feedly Lab and invited 4,000 Feedly users to participate in the design and testing of the next generation of the Feedly mobile application. Today, we are excited to launch the result of that work. You can download the new app for free on the App Store and Google Play. Here is a quick tour of the new design. We love the Web because it is an open and distributed network that offers everyone the freedom and control to publish and follow what matters to them. 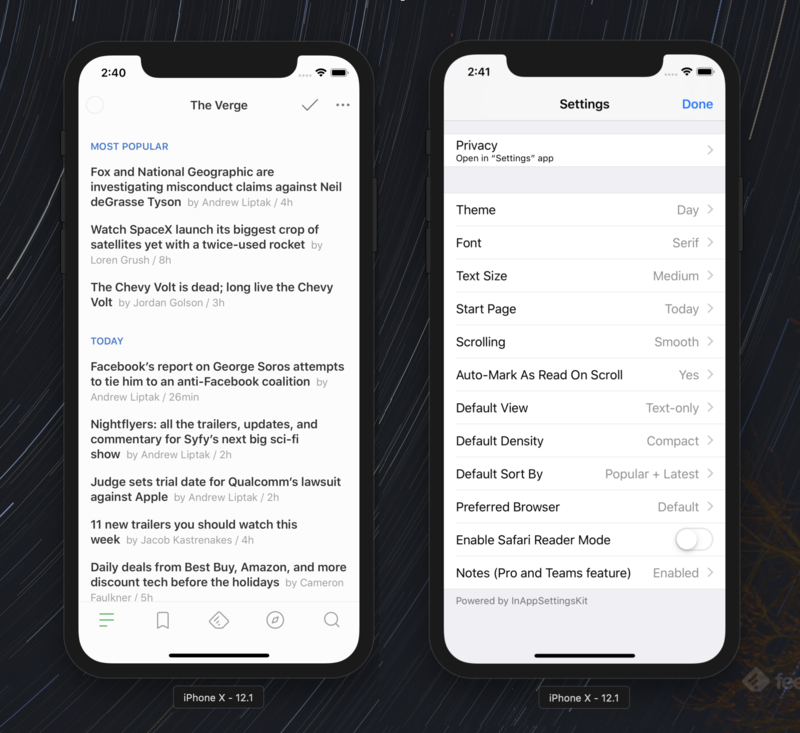 The essence of this new design is to give you even more control over the information you follow and consume in your Feedly and make that experience more productive. Both on iOS and Android, we adopted more modern UI practices that make the experience feel lighter and easier to read. We also added more layout and density options so that user can pick the reading experience that best fits their preferences. We learned from the Lab that marking as read and saving for later are key parts of our users’ workflows so we added some gestures to make those actions easier and faster to perform. You can swipe left or right to trigger mark as read and save actions. You can long press to trigger a contextual menu which offers you even more actions and shortcuts. In the global settings, you will also find an option to automatically mark stories as read as you scroll through your feeds. 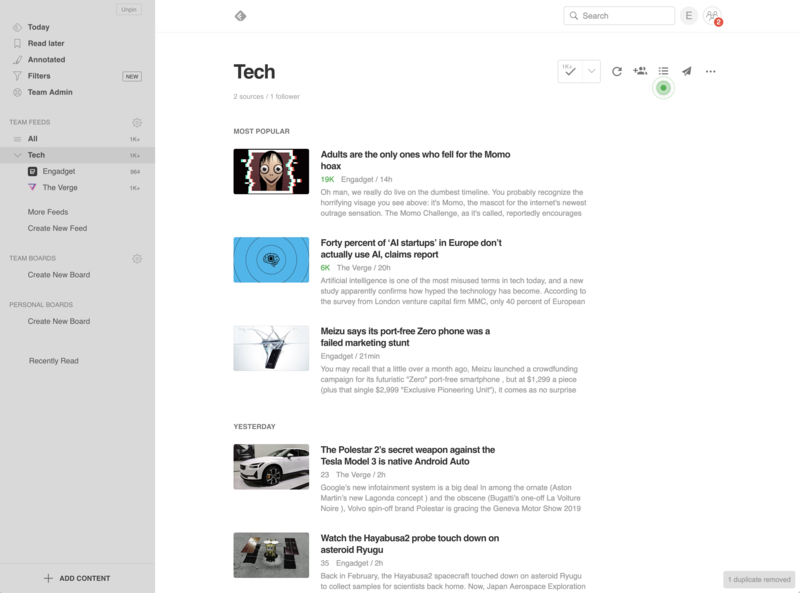 Some of you really love to read Feedly at night, or you prefer to read in night mode all day. 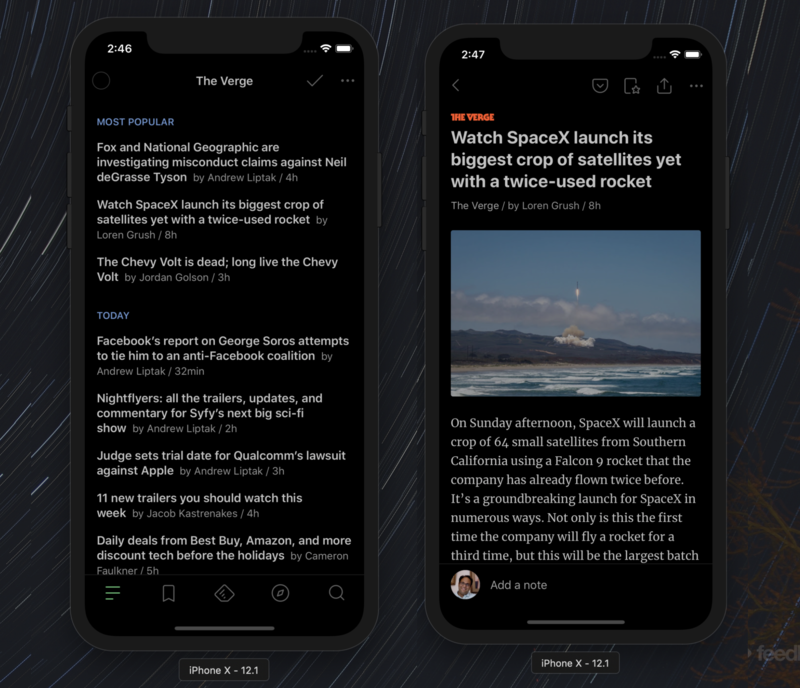 In the new Feedly app, we polished Night Mode so that you can easily read in low-light environments. We also love the web, because it has enabled a new generation of content creators like Ben Thompson, Bruce Schneier, Tina Eisenberg, Seth Godin, and Maria Popova. These independent thinkers continuously explore the edge of the known and share insightful and inspiring ideas with their communities. 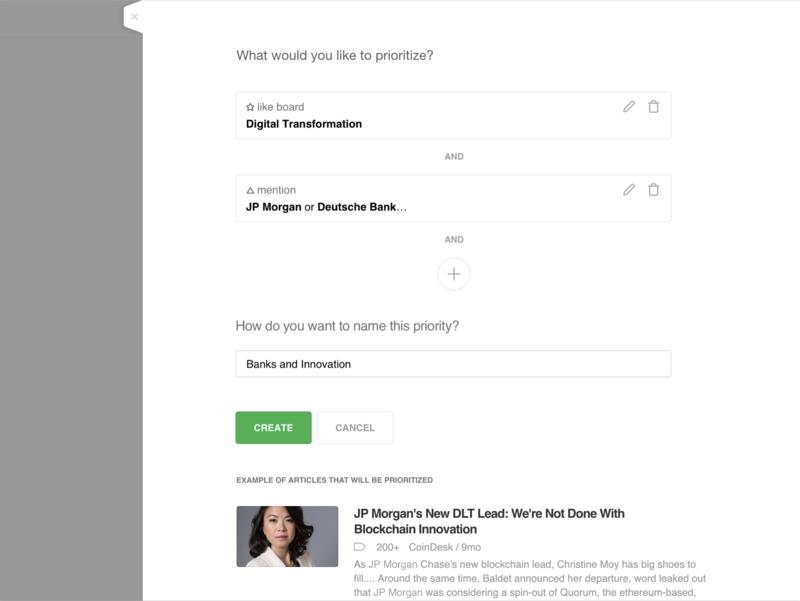 Connecting people to the best sources for the topics that matter to them has been core to our mission since the very start of Feedly, but discovery is a hard problem. The web is organic, a reflection of the global community’s changing needs and priorities. There are millions of sources across thousands of topics, and we all have a different appetite when it comes to feeding our minds. 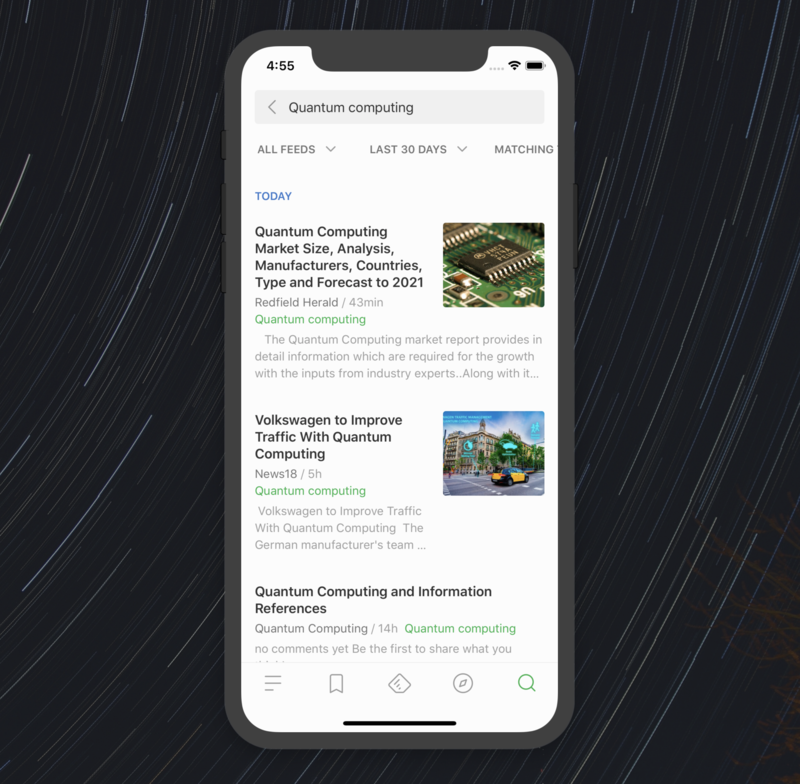 As part of this next generation Feedly mobile app, we are launching a new AI-driven discovery experience which puts the top 50 most interesting sources across 2,000 topics at your fingertips. 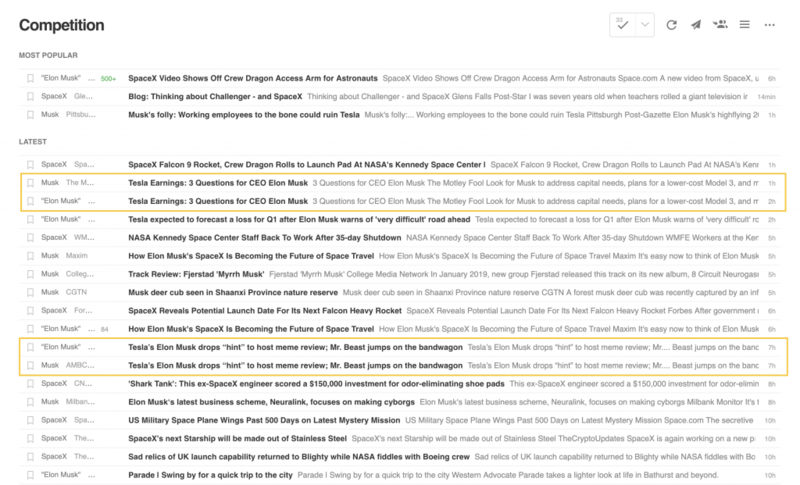 Power Search allows you to quickly find specific articles in your Feedly. 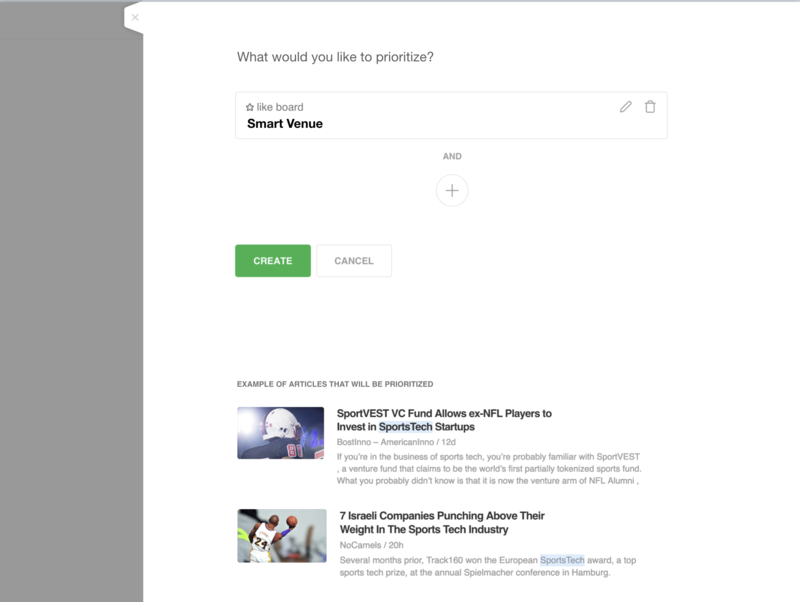 This powerful search is one of the most-cited reasons for upgrading to Feedly Pro in user surveys. We are excited to bring Power Search to mobile. 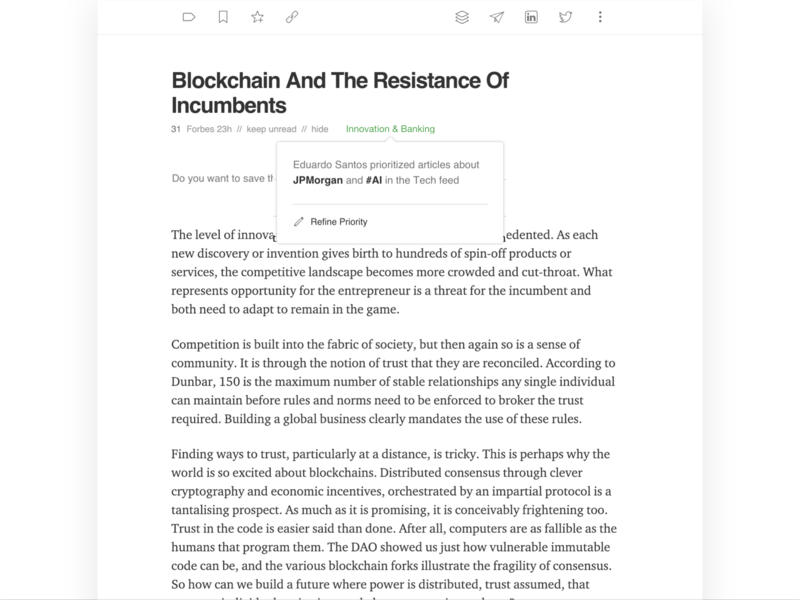 The new notes and highlights tools make it easy to annotate articles with your insights, save them for reference, or share them with your colleagues, friends, and followers. 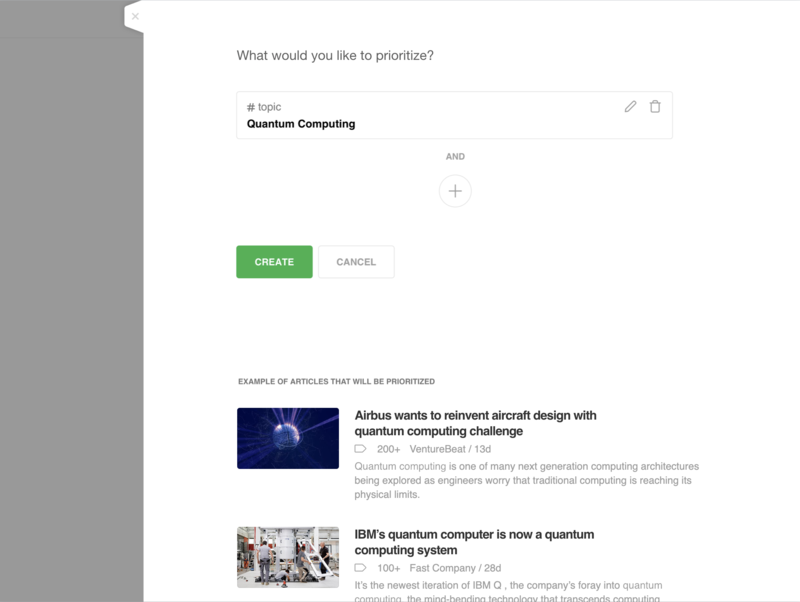 Feedly Teams allows you to make your industry research, competitive watch, and content curation a more fun and collaborative experience. 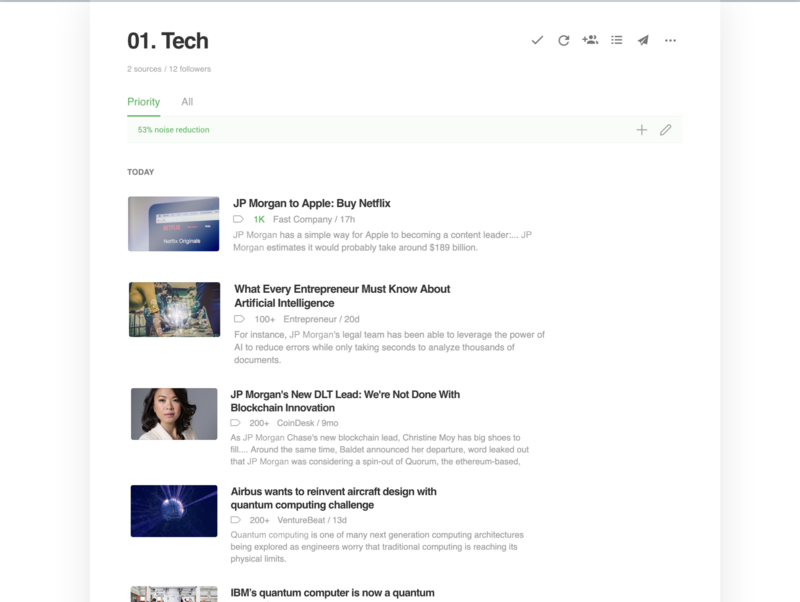 With the new Feedly mobile app, you can now access all your team feeds, team boards, newsletters, and shared annotations on your phone and tablet. 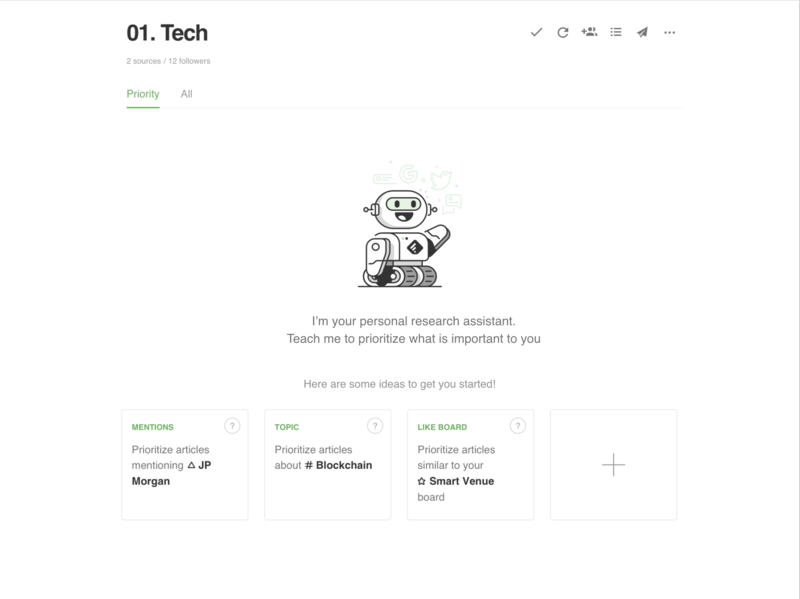 There are more than 7,000 teams relying on Feedly for their research and curation. We hope that the new mobile offering will inspire more users to take advantage of the free Feedly Team 30-day trial. 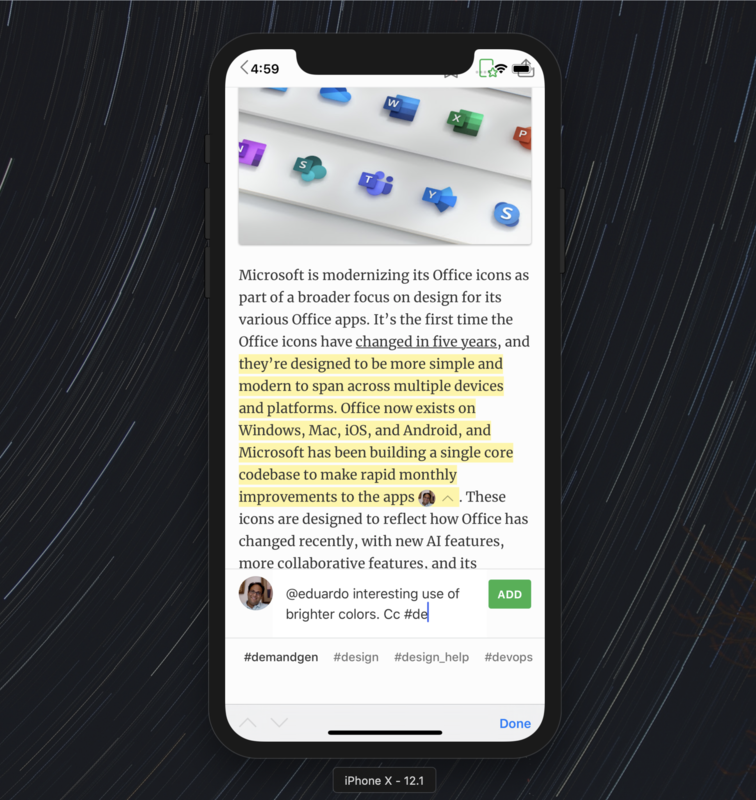 If you are a Pocket user, you can connect Feedly to Pocket and replace Read Later with Pocket across the user experience. We have entirely re-implemented the application on a new technology stack. With a new, modern foundation in place, we are able to iterate faster. For those who are curious, the new app is built using Streets microservices, React for the UI components, and some native extensions when needed. We really enjoyed building the new Feedly in close collaboration with 4,000 Feedly users who volunteered time, expertise, and energy. Your ideas, feedback, and bug reports were critical to the success of the redesign. 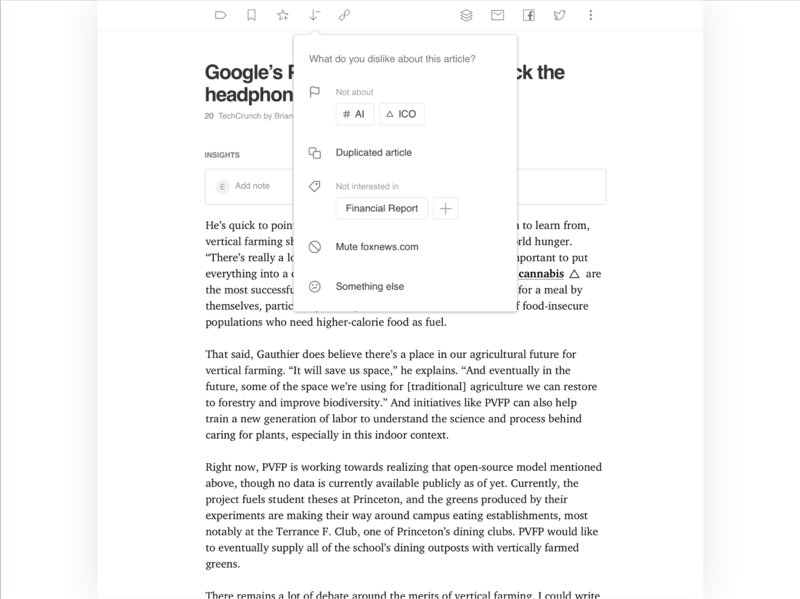 You’ve helped make Feedly better for everyone. 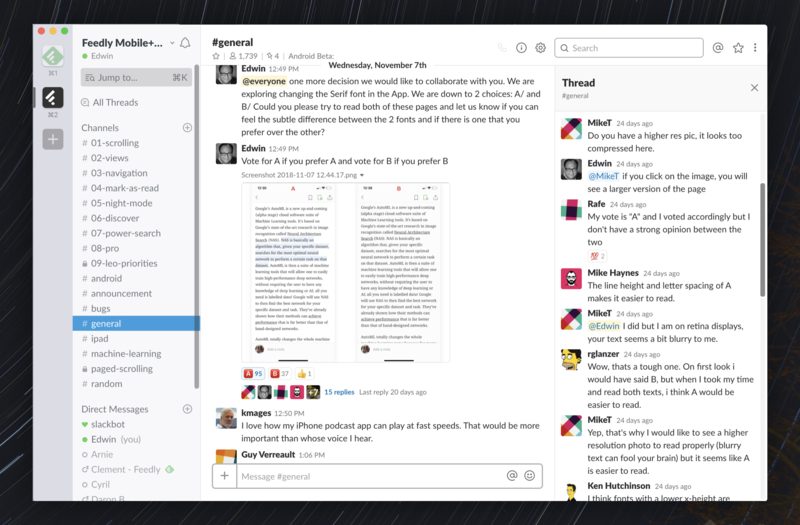 We are going to double down on this more collaborative and transparent dev process. 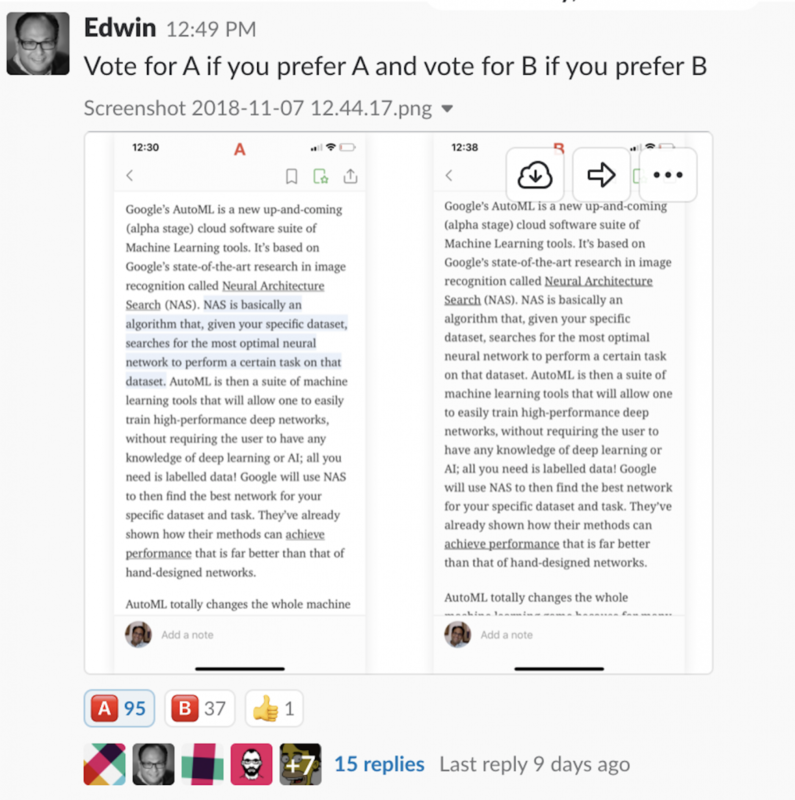 You can join the Dev Team and Lab community on Slack and you can view the roadmap and upvote features on Trello. 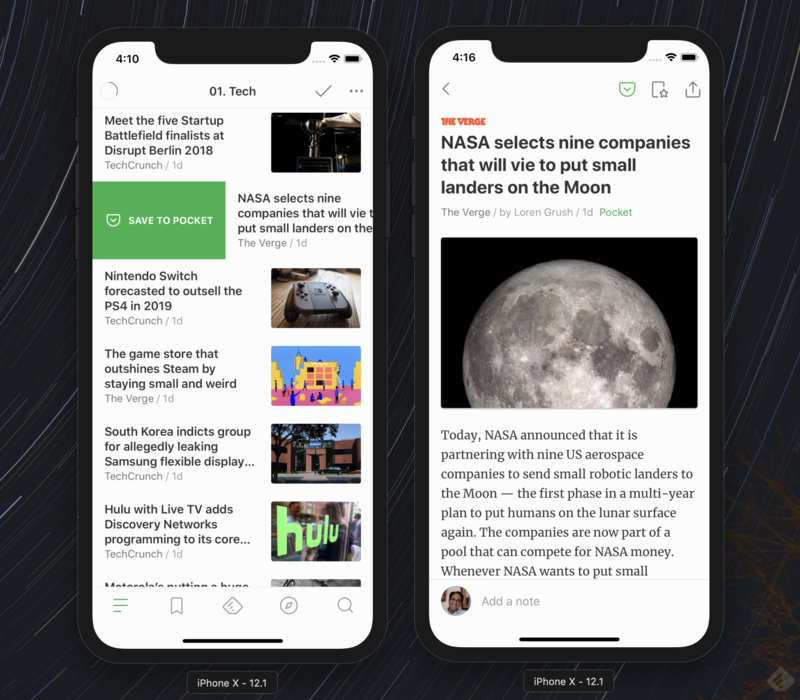 Finally, if for some reason you prefer the old design, you can look for “Feedly Classic” in the App Store or Google Play. A few users who are participating in the Leo lab/beta suggested that we should allow you to listen to our articles. As a result, we are running an experiment to determine if there would be value in allowing Leo to read you some of your articles. Question 1 – Would you be interested in listening to your Feedly article? If we offered that feature would you use it?